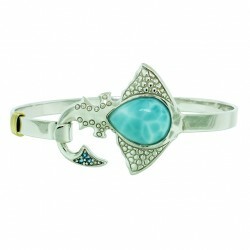 Sterling silver Larimar with London Blue Topaz & Gold plated stingray bangle bracelet. 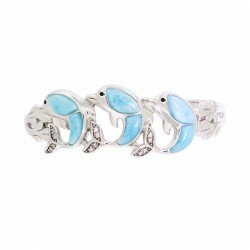 Sterling Silver with London Blue Topaz Double Dolphin Larimar Bangle. 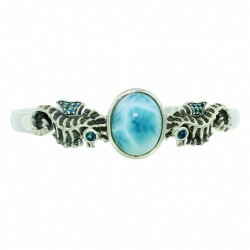 Sterling Silver Larimar with London Blue Topaz Double Seahorse Bangle. 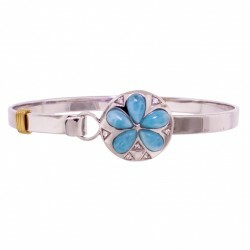 Sterling silver Larimar bangle featuring a double shell design. 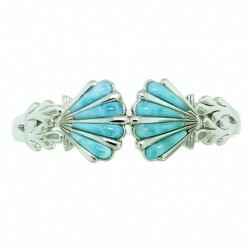 Each piece of Melymar jewelry is made with .925 sterling silver and fine Larimar. 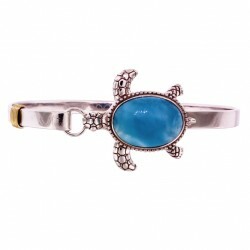 This Larimar bangle is the perfect bracelet for your fine jewelry collection. 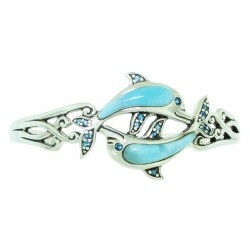 Sterling Silver and Larimar bangle with Black Spinel & Cubic Zirconia featuring triple dolphin design.